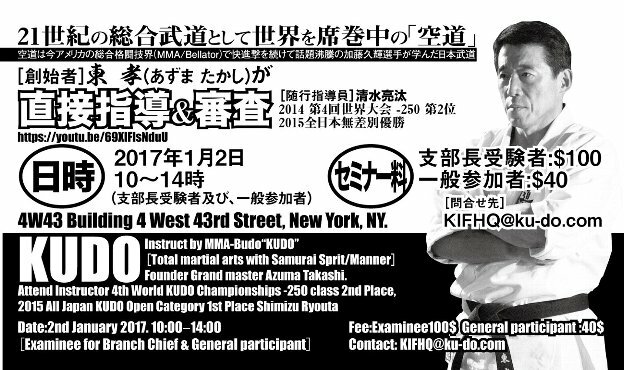 Kudo Seminar In New York. Instruct by MMA-Budo “KUDO”( Total martial arts with Samurai Sprit/Manner), Founder Grand master Azuma Takashi. At the request of candidate branch chiefs and other interested parties from US states and Canada, great master Takashi Azuma, founder and head director of KUDO Daido Juku and Head director of Kudo International Federation will hold a seminar and rank examination for candidate branch chiefs in New York City, early in the new year. 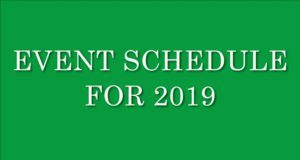 Due to requirements at the venue, interested parties must contact KIFHQ@ku-do.com in advance for registration and details.